Indore’s Collector Akash Tripathi shares his opinions on Indore’s iBus BRT system, launched 100 days ago. Photo by EMBARQ. When I assumed my post as the Collector of Indore, the new bus rapid transit (BRT) project was the most pressing issue before me. In all honesty, my first impression was that the new system did not meet the needs of the city. My only other experience with BRT is in Delhi – a system that’s not particularly popular and has taken a great deal of public criticism. Although I did not express it at the time, I was hesitant to lend my support to a closed BRT corridor on one of the busiest roads in Indore. Through the process and as more details came to light, however, I realized that investment in BRT is an important step towards expanding sustainable mobility options and improving quality of life in Indore. Three key facets of the project swayed my opinion and made me a believer in the viability of iBus. I have been witness to the growth and development of the AB Road corridor since I began working in Indore’s municipal government nine years ago. Although some say that iBus has worsened congestion in the corridor, I remember that traffic between the LIG and Palasia neighborhoods was just as congested when I took office as it is today. Beyond that, critics seem to overlook the fact that the AB Road actually has more space for motor vehicle lanes than it did before construction of the BRT system began. It’s actually an unprecedented rise in private vehicle ownership that has made traffic worse along AB Road. Multiple studies have shown that widening the road on any given corridor merely increases motor vehicle use along that corridor and does not actually relieve traffic congestion. Without intervention, motor vehicle ownership will only continue to increase as Indore’s population rises, bringing yet more congestion and pollution. To avoid this, the only alternative is to provide a fast, quality public transit service that operates so efficiently, people will no longer need private vehicles. One current issue with iBus is that is does not yet carry enough riders. However, in the first 100 days since launch, ridership figures steadily increased – already we are witnessing an 8% average increase each week. Expanding the current fleet of buses and attracting riders from informal public transport modes will allow the system to move 80,000 passengers each day within the next six months. Meanwhile, it is important that we give a voice to the nearly 30,000 daily passengers that currently rely on iBus. Among all the media debate, their opinions, concerns and feedback have been conspicuously absent. Providing a platform for these users will not only increase public support for a necessary service, but it will also create a formal outlet for riders to give suggestions for improving operations. For those cities hoping to learn from Indore’s experience with BRT, one of the most important lessons is the necessity for open and honest communication. Recently, iBus has been at the center of public debate and even faced opposition in court. One of the primary reasons was the delay in the completion of the project, which took nearly six years to complete. This delay was exacerbated by poor communication and little transparency, leading to media backlash and public discontent. Learning from our mistakes, the city of Indore has completely reversed this in the last six months. We actively engaged with the public and the media, ensuring that all updates and details of the project are communicated effectively. The result is a more open forum between the media, government, and citizens and a drastic increase in public buy-in for the project. Even the most thorough and well-executed plans encounter some degree of public resistance. For that reason, it is essential to inform and engage the public from the beginning. Ideally, they will have a stake in the future of the project and own the changes to their community. At the very least, they will have access to the facts. The astounding growth in public acceptance and ridership is a testament to the changing attitudes of Indore’s citizens. Within a period of 10 weeks, ridership has increased 10 fold, from 2,500 to 25,000 passengers per day. Where earlier passengers would have had to wait up to 20 minutes for buses to arrive, now one can expect a bus every 7-8 minutes. All of this has happened with just 14 buses. When the fleet size reaches 50, as is planned, riders will only have to wait 2-3 minutes during peak hours. 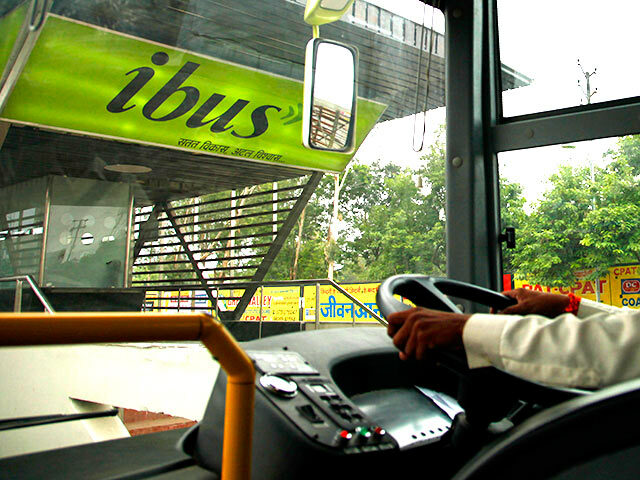 For these reasons, iBus is not only a positive change for the citizens of Indore, it is also a landmark in public transport systems throughout India. About the author: Akash Tripathi is the Collector of Indore District, Madhya Pradesh, India. As the head of district administration, he coordinates the activities of all government departments of the district, ensures law and order, and is responsible for land and development administration. He has previously been posted in Indore as the Municipal Commissioner about nine years ago, and since his current posting as the Collector, he has been closely associated with iBus, Indore’s Bus Rapid Transit (BRT) project. Are you a believer in Indore’s iBus? Share your experiences riding India’s newest BRT system by leaving us a comment!